For its tenth year as a label, 4Weed Records proudly presents Zion Kingdom, a special EP we’ve been working on since long time. A feature between historical sound system Dread Lion Hi Fi, also active as producer and promoter, and Mr Biska, this release is enhanced by legendary Henry Tenyue’s trombone melody, aka Matic Horns, and it is mixed, dubbed and mastered by Steve Vibronics. Over the years Matic Horns has been collaborating in studios and live performances with the best Jamaican and English talents such as Gregory Isaacs, Freddie McGregor, John Holt, Luciano, Aswad, UB40, Horace Andy, just to name a few. Dread Lion Hi Fi crew is a historical Italian sound system, that has been a reference point for the reggae vibez in Italy, promoter of historical events such as the Milano Dub Club and the Dubwise Festival, where the best producers, singers and selectas of the international scene have been hosted. The combination with master Steve Vibronics was born far away in time, from a consolidated relationship over the years that brought about this collaboration. The track opens with a magical trombone melody by Matic Horns that perforates the pad carpet laying down the whole tune while indicating the path, a victorious march to Zion. The guitar riff, which perfectly fits to the trombone melody, introduces the drop of a deep overwhelming rhythm that transmits the desire of moving and dancing, and at the same time a spiritual mantra for high meditation. 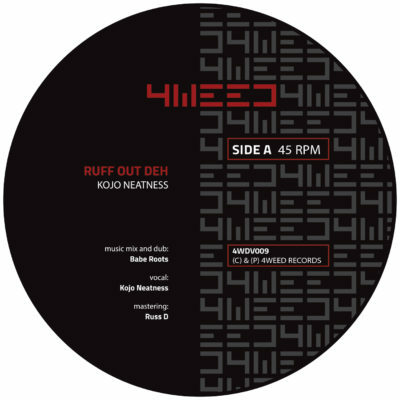 The production is enriched by three different dubs, mixed and made unique by Steve Vibronics’ technique, reverbs, filters and delay; a very guaranty for the lovers of Uk Dub in roots and culture style.